As one of the biggest conglomerates in Indonesia, Astra International has touched various aspects of national life through its products and services. The wide and diversified business has made Astra International absorbing at least 200.000 employees and growing. As Astra International always promotes innovation, its recruitment division, Astra Recruitment Center (ARC) continuously explores new ways and methods to make the recruitment process more efficient. In this article, Agate team has the chance to talk with the ARC team, represented by Brian Marwensdy (Assessment Development Center Department Head), Marsella Yulita (Recruitment System Analyst), and Sheeren Yolanda (Assessment Development Analyst) about the impact of Underwater Maze game, ARC’s game-based assessment that was developed in partnership with Agate back in 2014. Not only it became a new way of assessing, Underwater Maze also became the finalist of Astra Innovation Challenge 2014. What were the original intention and result expected in creating the Underwater Maze game? In the overseas, we see that there are a lot of companies that have started using games—as in gamification to gain people’s interest. Although we see most of these games are used commonly for marketing, it actually also works well to capture and measure some particular behaviours as well as specific treat. Underwater Maze game was designed to be an assessment game measuring the persistence behaviour of the employment candidate. Our original intention was to provide a comprehensive test with a different approach. We wanted the candidate to have a different experience—a fun one, when they conduct the test. We made the call to shift one of our assessment instruments because we found out that the conventional paper-based test put so much pressure on the candidate, while at the same time quite uninteresting. In addition to that, we also found out that we can set our own customized measurement parameter with the gamification when the paper-based one isn’t yet advanced enough with such application. Through gamification we get much more data which includes the frequency of the player repeats the game, fails at a certain level, continues to try, as well as to the very detailed one, such as screen-tap frequency in order to work the game out. Then we used the data to measure the behaviour of the candidate. With the gamification method, we wanted our candidate to be more in tune with the whole assessment process, thus giving us a clearer insight on those who meet our qualification. In what aspect did the game measure? Underwater Maze was specifically designed to measure persistence. However, the mindset when developing the game was trying to always open to every kind of possibility. The output data apparently came with a lot of other insights and variables, hence the result could be measuring more than just the persistence point, but also deeper. We found that there are four kinds of traits related to persistence that has been confirmed and tested within the three years of usage, through hundreds of selected candidates that already spent one year review in Astra work environment. How far the result interferes with the actual employees’ habit and behaviour? The insight has been also confirmed by certified psychometrics expert. The point of the assessment was to recognize the candidate’s action tendency, i.e; the total distance travelled while playing the game is comparable with the-now-employees’ persistence in their actual daily working environment. How is the reception from management team looking at the 3 years result of this assessment game? As this was once a new method we were exploring, sceptical gesture surely appeared every once in a while. However, as we are walking further and see the proximity between the output data with the actual condition of the once-candidates today, the management team is starting to embrace the idea of assessment using gamification and even suggesting to explore further. There are also some other divisions that are starting to put interest in implementing gamification into their own system. And as we are the pioneering division to implement gamification, we have attended some discussions about this and share the insight from our point of view. Based on the usage and the result of Underwater Maze, would you like to implement gamification further? We are actually once again partnering with Agate to develop a new game-based assessment. Only this time is to measure the leadership competency. So, we are looking forward to a new journey of result exploration with this game. How does the Astra Recruitment Center see the gamification implementation in Indonesia? We believe that gamification is a breakthrough solution and a fun way to get people captivated, either in terms of assessment, onboarding, and even engagement. Gamification is something we need to anticipate, especially since it is estimated that the 75% of the workforce will be the millennial generation by 2020. However, the gamification in Indonesia is still fairly new, so there is still a lot to learn and explore. We hope the awareness of gamification usage in Indonesia will grow even faster so it can be utilized in all fields. 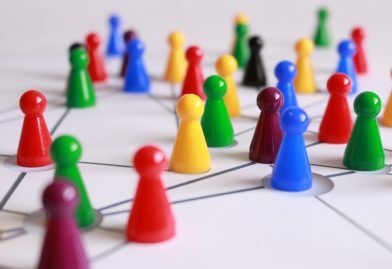 Gamification on training is a breakthrough solution recently in order to assure the talent management system in keeping employees engaged with the company. It can be formed in many shapes, from simulation training, video training, mobile learning, and many other more. Maybe some of us didn’t even realize that many parts of e-learning are actually a form of gamification. In this article, we will examine the many shapes of gamification training that can be used to increase employee engagement. Mobile Learning Platform Training is gamification training on mobile. The purpose of this kind of training is for employees to carry out training wherever they are with their smartphones. This will certainly make it easier for the employees as they have the handbook in, literally, their hand—talking about practicality and mobility. Usually, training sessions in a company will be held at employees’ free time or even radically when they are currently on working hour. This certainly disrupts the employees, let alone the work. 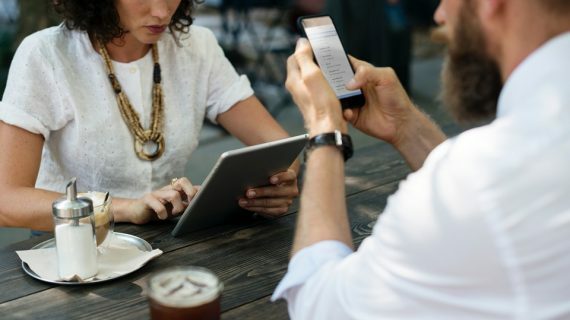 By using mobile learning the employees can manage a more effective time usage since it’s no need for them to leave their work just to attend a training class. Employees are able to do the training anywhere without disrupting their work and their productivity. Gnowbe is one of the best examples of this shape. Gnowbe is an education mobile app for action-based learning consisting of “bite-sized knowledge.” Content is values-driven and principle-based. It is designed for busy professionals and executives who have no time yet want to continue learning for their personal and professional development. It is a daily app that only requires 10-15 minutes per day. Each topic consists of 30 days each, based on the notion that it takes at least 30 days to start developing new habits. Content is action-based which means that each day includes actions that the user needs to do to apply their learning in practical ways. Sometimes people can easily remember if something presented with visual and image rather than the wall of text. According to research, the average person reads only 20% of the text on a regular webpage, while content with visual gets 94% more total views rather than a full of text content. From the research, it is safe to assume that visual content is more likely have the ability to create a better focus and understanding since it can grab the attention of the audience easily. Based on that matter, many institutions have started to provide video training as a way to make training sessions more fun. In the meantime, it can also establish the retention of the training material to be more long lasting in the mind of the training participant. 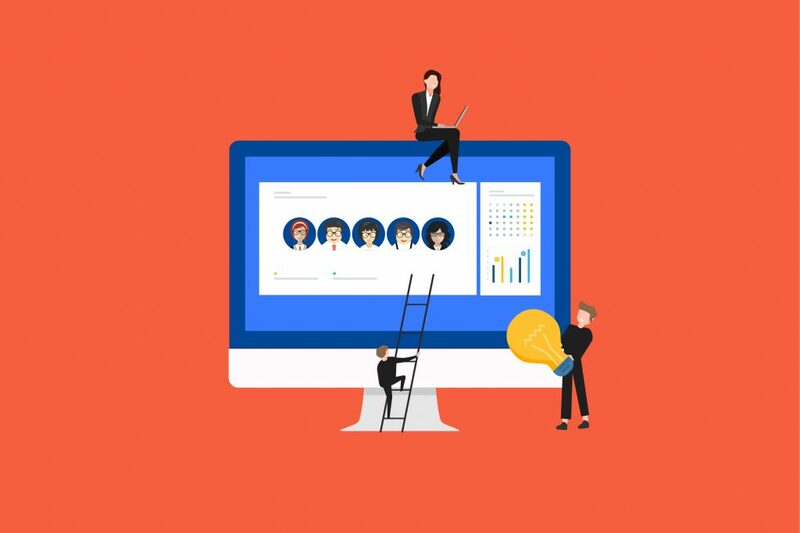 The addition of gamification elements in video training can be executed by giving rewards for employees who have finished watching the video and try to actually apply it at least once into the daily work environment, to get a more hands-on experience. 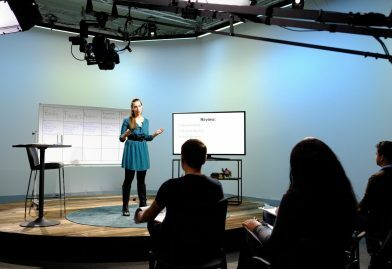 CreativeLive is an online education platform that broadcasts live classes to an international audience. The platform was built in 2010 and has over two billion minutes of course instruction. The average number of students tune in to each live broadcast ranged from 20.000 until 60.000 people. In CreativeLive, you can pick your online class topic from Photo & Video, Art & Design, Music & Audio, Maker & Craft, and Business & Money. Simulation derives from the word simulate. Simulate is an act to imitate the appearance or character, while simulation is an act to imitate of a situation or process. Training simulations are especially needed for workers in high-risk jobs such as pilots, construction workers, doctors, and a variety of life-related occupations and safety matter. Training simulations are also able to provide an immersive sensation with the real thing in the real world as well as able to provide a cheaper cost and minimize the risk of a fatal problem that might occur on training. Flight Simulator X is a flight simulation computer game by Microsoft Game Studios. It is able to provide an immersive simulation as if the trainee is flying an actual plane. Thanks to its accuracy, this game is still used by people who want to learn to be pilots from scratch and still used by some potential pilots before entering the pilot school. Often we find many games that test our brain intelligence such as Mind Games, Brain Wars etc. This type of game sharpens our intelligence in our brains by giving a variety of problems. This type of game able to train our brain since the player must master various abilities such as logical, spatial, mathematical, and many other abilities in facing types of problem that triggers our brain to think more. This can have an impact on productivity in companies where employees with high levels of intelligence and have many capabilities will give a benefit to company. Employees will also feel their thinking ability faster and better than before if their offices often provide them with brain training. Fit Brains is mobile/online software for brain training created by Vivity Labs and then to Rosetta Stone. The game was developed by Michael Cole, a game developer, Paul Nussbaum, a neuropsychologist, and Mark Baxter, who had worked in the brain training field for the prior seven years. Understanding the shape of gamification that’s right for you and your company can lead you to many benefits, such as grasping significant rise of employee engagement and to create a working environment where your employee feel comfortable with your company pace of work. If you can choose the shape of this gamification appropriately while adjusting to what the company needs, then you do not have to bother thinking hard to find a right strategic about keeping the employee because the engagement issue will come along. There has been a shifting in the corporate talent management culture, especially in the field of training: from the all dull paper-based class to a more interactive and diverse activity. Since its first public encounter in 2002, gamification has shown a significant maturity as a break-through learning alternative. As it gains more hype, many companies are starting to consider implementing gamification within the employee activities and learning bundle. Here are some of the designated purpose to enhance your gamification for talent management. Game-based assessment is one of the commonly used gamification within the talent management system in a company. It is usually embedded in the recruitment process. This kind of game is designed to assess the candidate’s trait and its potential for the growth of the company business. Agate has developed a couple of game-based assessment for recruitment with some companies, one of which is Astra International under the Astra Recruitment Center (ARC), with Underwater Maze. 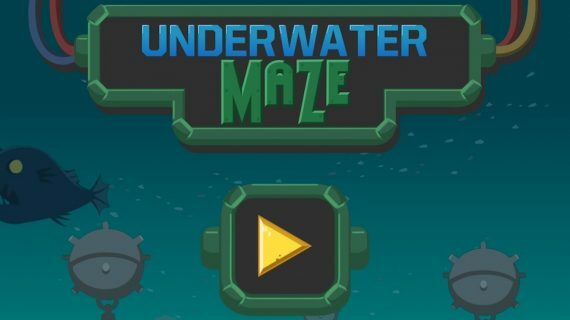 The gameplay of Underwater Maze has a simple mechanic. It requires the player to move a ship from one point to another without hitting the wall. Once it hits the wall, the game will finish and the player should start over from the beginning. To bring up the challenge in this game, the ship is automatically moving so the player must precisely determine the next point for ship movement keep the game running. This is where it works to measure ones’ persistence which goes as the prediction for the candidate’s work performance. The initial period of entering into a new company or often called onboarding is a crucial period in a person’s first step to the company. At that time, new employees must adapt quickly to understand exactly what the company’s vision and culture to recognize their purpose in the company. Sometimes, the step do not always go smoothly and rather somewhat arduous. The amount of material that needs to be absorbed goes in contrary to how the company demands it to be a fast phase. To solve this problem, Agate has developed its own onboarding gamification, namely Fun Way Onboarding. Fun Way Onboarding runs like an RPG game we used to play in consoles. New employees will be given bundles of quest regarding the company in general, to specifically their job title. Each of the quests must be done to reach the next level which will round up to the end of the onboarding. In addition to creating the sense of fun and engaging on the early process of enrolling, this gamification also able to give new employees chance to proactively involved in various activities within the company and to adapt quickly. Fun Way Onboarding is expected to be an alternative in order to eliminate the difficult onboard process since it is brought in a more interactive way. Getting the employee altogether somehow can be a hard work, let alone the increasing the engagement rate. Both of those go a long way with teamwork which is quite crucial for the business to work. The material about teamwork is important to be included in the talent management. One of the powerful ways to enhance teamwork in a fun way without reducing its essential is by playing games like Marble Factory. Marble Factory is a multiplayer game that lets 4-6 players cooperate to achieve objectives given in the game. This game has successfully inspired many non-gamer employees to learn about teamwork in a unique and engaging way. In the service field, the employee needs a clear procedure and explanation about the service in order to bring maximum value to the customer. The problem is, it sometimes takes a long and baffling training period. Taking an example from customer service position in the bank. This position is vital as they are the frontline representative that deals directly with different customers each day. In partnership with Danamon, Agate has developed a gamification called D’Service. It was designed to cut through a long and tedious training into a service simulation game. By using novel visual mechanics with various possibilities that will be faced by the customer, it simulates the real case on customer service situation and makes the training becomes more easily understood. With this fun approach, newly-employed customer services are expected to be ready to meet various kind of customers with their various kind of needs directly. According to Oxford Dictionary, training is the action of teaching a person a particular skill or type of behaviour. But according to most of the employee today, training is a boring, monotonous, tiresome, and uninteresting activity that seems to only become a formality. If the employee didn’t find their training awesome or at least interesting, the company will lose a key factor to drive revenue and great workplace and work habit called “engagement”. The old and conventional training can annul everything that has been taught in the training sessions. It may be caused by the instrument used which usually consists of a long and boring textbook, as well as the inflexible learning place. The new way of training such as gamification on training can eliminate those things. A breakthrough movement is made to modify the tiresome and uninteresting training to be more fun and engaging. 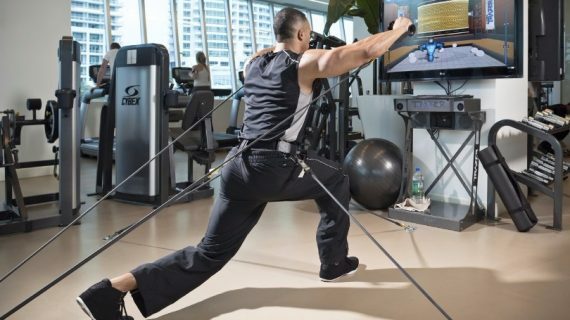 On this article, we will break down what’s making the new way of training more effective on this disruption era of technology rather than an old one. The new way of training such as applying gamification on training can bring the fun in training session—something that sounds a bit peculiar in the old way of training. 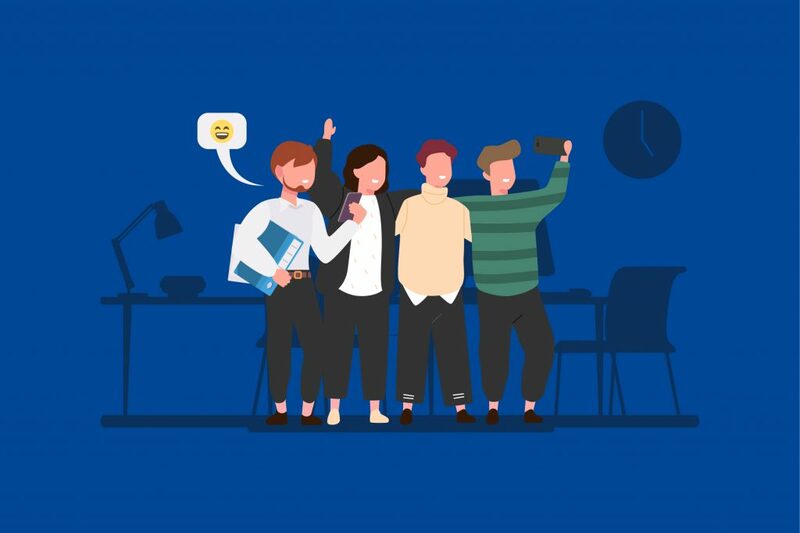 When people are having fun and happy, they can bring so much positivity value in their life whether it is in the workplace or in their daily life. In the past, the employee that signed for the company only took the money and didn’t think about their personal life. But the trend has changed. Today, it’s not just about the money in the back of the employee’s mind, but seeking experience, life-changing moment, and the chance to help the growth of the company—the urge of having a purpose. The workforce of today takes their work life as the experience, not just a boring task. Therefore, establishing a fun working environment is no longer a complementary but a necessity in this fast moving business to gain as much as revenue in return. The interface of construction site through Crane Simulation VR by Agate. The high risk and cost might occur to the hazardous industry, such as construction site worker, pilot, the bus driver with the extreme track, and medical industry—doctor and other medical workers, in this case. Their profession demands them to go into the real condition that has a high chance of harming the participants and other company’s inventory. In addition to the condition stated, these training cost way more (just imagine the expense for corpses that commonly used as the experimental instrument in medical training or the expenditure for acquiring heavy equipment that must be provided on the site). Gamification eradicates these problems by using simulation type of training. Before entering the real deal, training participant can utilize the VR version or simply a game that is designed to simulate the condition for the participant to adapt. If the training participant does some false moves, it can be easily wiped and can be restarted back to square one, just like a normal game and less likely to harm anybody. It’s a win-win solution. The old way of training can take up to some times to analyze the employee capability and its absorptive capacity for a material. In most cases, they can’t even get a real-time and comprehensive result that can cause employees’ mismanagement. With the advance of the technology, this thing won’t happen anymore. Using new way of training, trainers can track their employee activity and achievement. These can be the base for measuring whether it’s the habit or capability of the employee. To keep good vibe on life and work, an employee must retain the flow. In psychology, flow is also known as the zone. It is the mental state in which a person is fully immersed in a feeling of energized focus, full involvement, and enjoyment in the process of the activity. It is characterized by complete absorption in what one does. To create the flow, a great way of training must be applied through the effort of engagement initiative. Once the initiative fulfilled its purpose, the employee might have a bigger chance to achieve the flow that makes them work much better and more productive. In this era of climate change, we know that our mother earth is on the brink of danger level. Old ways of training utilize so many papers in printing the module—which usually contains all the training material to people across the division and regional. It’ll hurt our environment as the wood stock stumbled down each and every year. When using the new technology such as gamification or some application on our gadget, we can definitely reduce the use of paper. By doing so, we also contribute to making the earth to be a better place to live. Is there any better way to retain an image of a company other by implementing the go green movement? In the era of the new global marketplace, searching for a talent—employee with actual capability—in the company is an exhausting task and not an easy thing to do because, even right now all of the companies are spying each other to get their talent to boost their growth and revenue. Searching for the right talent is a new challenge in the Human Resource (HR) field. Even grabbing a right talent alone is not enough. When talents join the company, there has to be something that can make them stay for long to eventually give a significant contribution to the company. 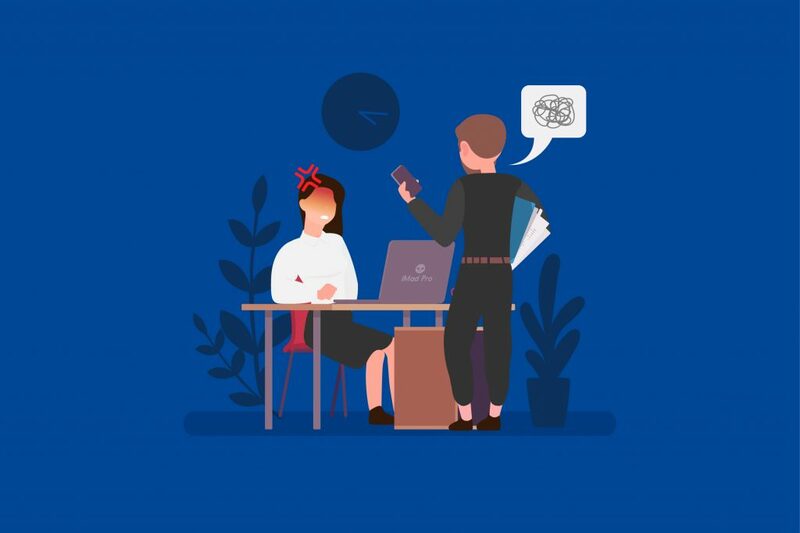 This is important considering the new era of the workforce today consists of the millennial generation who’s easily bored with the conventional way. Therefore, to prolong the initiation of recruitment, there must be a certain management to grab and develop so they can give the best and continue to serve the company. This is where talent management chipped in as it is the key factor to maintain and develop talent to fulfil their maximum capability. Talent management is the process or system used by companies to keep employees happy, encouraged, knowledgeable, and motivated. It is a series of steps put in place to keep employees driven to success. This process includes training employees who want to learn, rewarding employees for their success, and giving them proper coaching to progress. The idea of talent management is to retain the strongest employees, keep them enthusiastic and motivated, and push them to work at their highest level. Having good talent management is when one has good skills, knowledge, cognitive abilities, and the potential to do well. Talent management is also an important and necessary skill for people in the workforce to acquire. Finding good and talented people is not a hard thing to do, but making sure that they want to stay working for the same business for some period of time is the challenge. The term was created by a management consulting firm, McKinsey & Company, following a 1997 study called The War for Talent. The term gained awareness on early 2000’s when Jonas Ridderstrale and Kjell Nordstorm pointed out, “The war for talent is over and talent won” on their book Funky Business (2002). Talent management got another spotlight when many big companies started to crash because they didn’t apply talent management. After the revolutionary leap in HR organizational, many big companies started to apply talent management within. This resulted in gaining, even more, productivity and profit before the crash happened. It is important to make good talent management system since good it can lead to many benefits to the company such as simply a significant contribution. The company must bring their value to their talent in the right and fun way in order to establish the employee to be an important asset which can lead the growth of the company. In order to create an ideal working environment, a magic word called “engagement” comes in. Engagement is not merely a term to make people have the willingness to work in the company. It is a critical word with many meanings behind it such as motivation, commitment, passion, desire, ambition, trust, empathy, solidarity, inspiration, selflessness. Engagement is a core key to put the talent to go an extra mile and one step ahead rather than the average working person. The ISR Employee Engagement Report in 2006 reported that organization with highly engaged workforce performed up to 50 percent better than those with low engagement based on surveys of over 664.000 employees worldwide over the 12-month period. Net income for high-engagement companies rose by 13%, meanwhile, for low-engagement companies, it fell by 4%. Based on the report, we know that engagement matters not just to maintain the talent but to boost the net income. One of the tools to get engagement that has been widely used in company talent recently is gamification. Gamification enacts the important part of making the engagement to employees. It uses the fun side of the game that everyone secretly loved. Gamification has the ability to tap into the talent’s mind with its unique and fun approach, whether it’s about the company, the business, to specifically their position. It can also be a measurement tool while at the same time presenting everything an employee needs to know. Stick with us till the next article to find out how far gamification can be implemented in the talent management system! Some of you might hear on many media outlets that gamification can lead to much more engagement with the customer or to simplify company standard operation to make it more understandable for your employee. However, there are actually many other industries to use the function and application of gamification. In this article, we will see many “rare” functions and industries that also apply gamification to their system besides marketing and HR which you already know a bit. You maybe think that gamification can’t improve your health because it’s basically just game. However, if you look back into the past, games with the likes of Dance Dance Revolution, Pump It Up, or any game in the glory days of arcade game deliberately makes your body do some dance routine, which of course can be counted as a physical exercise. That’s game for you and that’s why gamification works in the health industry. Gamification for health or practically known as Exergaming is a term that describes game as a form of exercise. Exergaming relies on technology that tracks body movement or reaction. Researchers indicate that exergames can produce real improvements in fitness also as health monitoring tools. A few of renowned companies such as Fitocracy, Dacadoo, and Endomondo use gamification to encourage their users to do more exercise and improve their overall health. The pattern of the exergame application goes from measuring the user body specification, such as weight and height. After that, the application will pick the best exercise for users to maintain the health and stamina based on the specification. Other than satisfaction after doing some exercise routine, users can share their activity to their social media to show off to their friends. In some application, users can also get some rewards once they achieve or complete something on the app. One of the leading car brands in Europe, Volkswagen comes up with an initiative called “The Fun Theory”. This initiative invites people to think of a simple and fun way to change people behaviour for better. One of the submissions by a contestant from the United States, Kevin Richardson, initiated to set up a gamification plan which designed to minimize the driving speed limit. Volkswagen and The Swedish National Society for Road Safety then picked the idea and created it. They set a small sign contained a speed measurement, camera, and LED to show the car speed in the middle of the street and call it the Speed Camera Lottery. The Speed Camera Lottery was designed to do two things, to photograph speeders and give them a citation then that money goes in a pot, but if you obey the law, your picture will also be snapped, except it will be used to be entered into that lottery and win some of that money from the speeders. Over a three-day period, as much as 24.857 cars passed the speed camera. This initiative showed the decreasing average speed to 25 km/h in which it was 32 km/h before. This gamification brought a significant impact on the reduction of the speed limit percentage to the tune of 22% which certainly was worth to be appreciated. As you know it, gamification has the ability to attract new users and create the sense of engagement to your product, but what if gamification is being utilized to attract the young person to join the military service? The U.S. Army has the answer to this with their line-up game titled America’s Army. This game is free to play and absolutely open to the public. In the rise of young people so much into action and war games, such as Medal of Honor and Call of Duty, The U.S. Army saw that chance and decided to create a game to attract new recruits and promote awareness of the U.S. armed forces. This effort was first made back in 1999 and released in 2002. In 2008, four transportable Virtual Army Experience units hit shopping malls and public events since the popularity of its predecessor, America’s Army, has gained its’ title to be the most powerful recruiting tool for U.S. Army, in terms of encouraging young people to join the army. Playing games can activate a hormone in our body called dopamine. Dopamine is responsible for the pleasure and joy in our mind. When people feel happy they are most likely to achieve a lot of more positive things such as learn better, improve the problem-solving ability, broaden the focus and attention to the material. The demand gap of an application that offers such a fun is filled with gamification. This easy-going and fun element is used by various fields to introduce and promote their services or products through gamification. Further added, gamification can also be utilized to simplify a certain explanation. In this article, we will look at these common industries that most implement gamification into their business. Arranging an event or even participating in one is still an effective BTL (Below the Line) initiative. As the main characteristic of BTL is to target a specific group of focus, hence catching attention should be the main focus. Gamification techniques can be used so that people are interested to visit your event or booth which will gain attention to products or services. The use of such on-ground activation has the benefit of enlivening the booth, increase product awareness, even further drive product sales. The best thing about this implementation of gamification is the subtle promotional move. Visitors do not feel the loss of sparing some of their time to know or even make a purchase because it is packaged in a more fun way. The example of this case is when Agate provides an on-ground game for BNI Booth on Java Jazz Festival 2014 namely BNI Flood Runner. This initiative raised up to 300% conversion rate of opening new accounts. This shows how visitors’ enthusiasm can be a very effective tool bring a significant impact on an event. In terms of driving sales conversion, many FMCG companies have implemented gamification into their marketing and promotional initiative. The gamification form ranges from simple levelling and badge system to advergame. Starbucks uses the levelling system to promote their loyalty customer program, My Starbucks Rewards, in 2012. Players register for the program through an application. Every time the customers purchase a Starbucks product, they accumulate stars which graphically look like it fills the cup. There are three levels depending on the degree of user loyalty. The more frequent the visit to a Starbucks store, the bigger chance to be awarded an upgraded level. Example of benefits includes an extra cup of coffee, a birthday gift, or even offers that is specially designed for the customer. The users of My Starbuck Reward totalled about 4.5 million with the card sales went to 3 billion US$ in per year. Advergames is a video game which in some way contains an advertisement for a product, service, or company. Some advergames are created by a company with the sole purpose of promoting the company or one of its products. The game may be distributed freely as a marketing tool which typically provides interactive games within the website. This has become one of a marketing tactics for potential customers to be drawn to the game and spend more time on the website, or simply to become more aware of the product. The example of this case is Chex Quest. Chex Quest is an advergame made by a cereal brand Crex and Digital Café. This game released in 1996 and gained massive player and fanbase. In return, Crex sales increased by 248%. Long before gamification exploded, Crex has implemented advergame to drive their sales. Image via source. The perfect example of gamification in education is Duolingo. Duolingo is a massive online collaboration which combines a free language-learning website with a paid crowd-sourced text translation platform. The service is designed so that students can learn a given language online, while helping to translate websites and documents. Beginners start out with basic, simple sentences from the web and gradually taking more advanced and complex sentence. The site also includes time-based elements, such as skill points and time bonuses when questions are answered correctly within a given time limit. Incorrect answers result in a loss of points and “lives”, as well as the delay of the levelling up. Since the system is adaptive, it tracks each completed lesson, translation, test, and practice session to provide feedback to the student and plan future lessons and translation assignments to better address their needs. For its advancement of gamification implementation for education, Duolingo got a lot of praise and was awarded Apple’s iPhone App of The Year in 2013 and also gained 150 million users worldwide. Gamification can also turn complex and tedious training materials into easy, understandable, fun sessions. This certainly can enhance the Human Resource effort. One example that can be taken from gamification in training is The Code. The game is created for the internal use of Gunung Sewu Group. The Code by Agate to internalize company’s code of conduct. The Code is a case study simulation game that takes the player on a journey across five business units of the company. Players are challenged to identify infringement of the company’s compliance and code of conduct that might happen in each business unit. It has been rolled out to 25,000 employees and received a positive response from the employees of Gunung Sewu Group.